How many times have you sat in the sand, letting it sift through your hands, feeling a sense of calm as you watch the waves come and go? 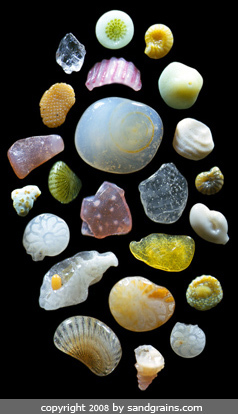 Who knew that within each handful there was such a story to be told, and such beauty in each and every speck. 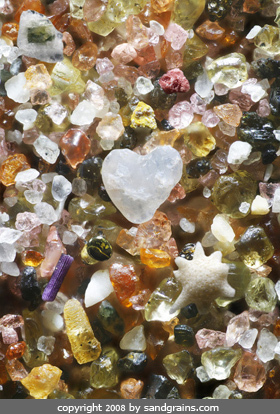 Dr. Gary Greenberg, a photographer and scientist, uses a microscope and camera to tell people that story with his Sand Grain images. 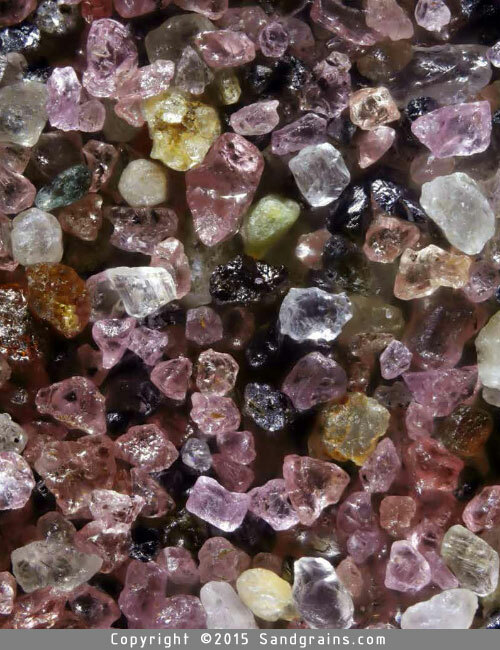 I was absolutely mesmerized by what different sand, from different regions of the world, looks like when magnified to 300 times its size. 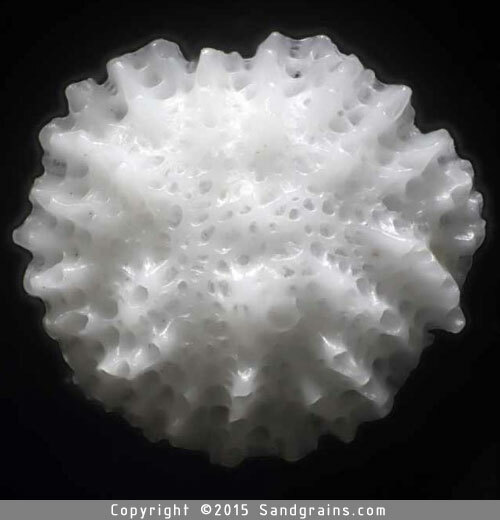 Originally a photographer and filmmaker, at the age of 33 he moved from Los Angeles to London to earn a Ph.D. in biomedical research from University College London. Dr. Greenberg was an Assistant Professor at the University of Southern California during the 1980’s. During the 1990’s he invented and developed high-definition, three-dimensional light microscopes, for which he was issued eighteen US patents. 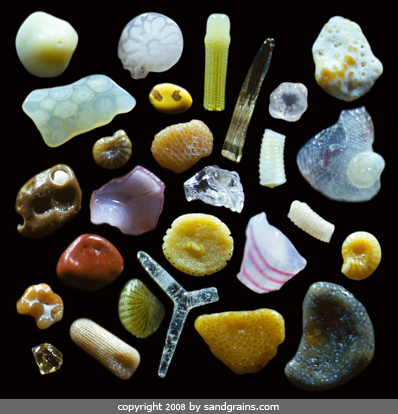 Since 2001, Dr. Greenberg focuses his microscopes on common objects, such as grains of sand, flowers, and food. 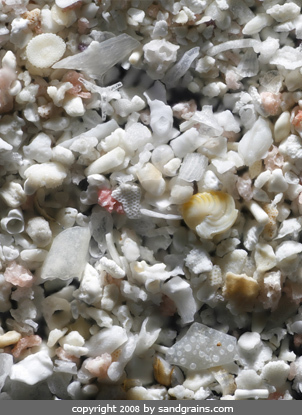 These everyday objects take on a new reality when magnified hundreds of times, revealing hidden and unexpected aspects of nature. 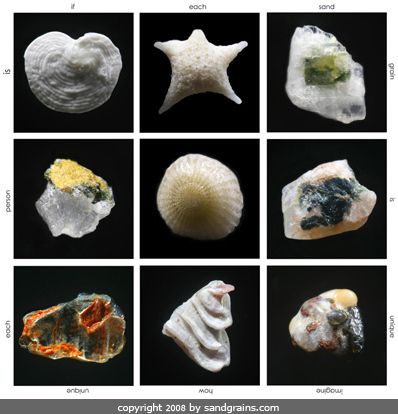 Dr. Greenberg’s images of sand make us realize that as we walk along a beach we are strolling upon thousands of years of biological and geological history. 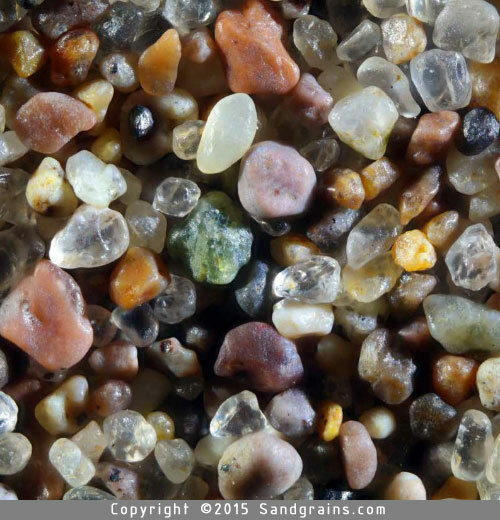 Recently, Dr. Greenberg photographed moon sand returned from NASA’s Apollo 11 Mission. Plum Island – Rowley, Mass.